Now that we're a week into the new year, hopefully you've had some time to get back into the groove at work. That doesn't mean it's time to start slacking off again though. ;) What it does mean is that you should have a bit of extra time to review your web analytics from last year! 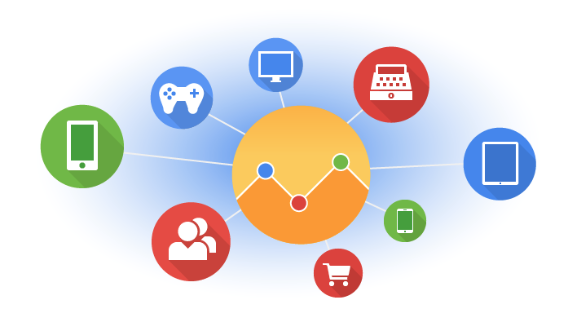 Here's a list of the top 10 web metrics you should review. 1. Sessions - Specifically you should be looking at patterns, where the content came from, and what users did when those sessions occurred on the site. 2. Landing Pages - Because so many of your organic keywords are not able to be seen in Google Analytics, look at what pages visitors are landing on. This will give you a better idea of the type of content that is generating traffic from the search engines. 3. Search Queries in Google Webmaster Tools - This will tell you where Google is showing your keywords and the types of impressions you are getting. By combining this data with landing pages and sessions, you'll start getting a good picture of your organic performance. 4. Website Content - Look at which pages on your site/blog performed the best in 2014. You should look at things like pageviews, time on page, bounce rate, exit rate and conversion rate specifically related to content. 5. Goals/Conversions - How'd you do in regards to conversions? Find out where you performed the best and where you failed. This will be vital data for your 2015 improvement! 6. Behavior Flow - If you are converting you'll find out how people are getting to the conversions and if you aren't converting you'll find out where you are losing them. For example, if people are viewing 5 pages and leaving without converting...take a look at it from the user perspective. Are there ways for them to convert in the typical pattern that your website visitors take? 7. Mobile Statistics - Doing well in mobile is a must in 2015. Find out what happened on your site from mobile devices last year. 8. Demographic Information - Are you reaching the right people? Looking at this data will tell you age range and gender. Additionally you should be able to see what "type" of person tends to perform better on your website. 9. Interest Information - This is valuable data that can not only help you adapt your website content, but also help you in other areas of marketing. 10. Geography - If you are targeting a specific geography, are you reaching them? If you are worldwide, where are some areas that you tend to perform better or worse in. You can use that information to improve content for those individuals. If you aren't able to pull and analyze this data on your own, these are the things you should be asking your marketer or SEO to pull for you. One of the biggest advantages of the web is how measurable everything is, but if you don't look at the data and actually use it to improve you are losing out on that advantage!